Our Favorite Places to eat - at restaurant blog hop! 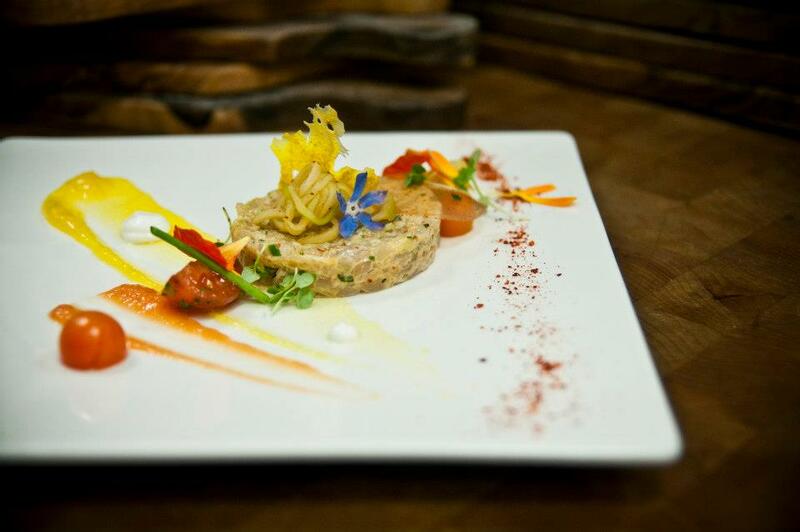 I was asked to participate in Social Fabrics's top restaurants in Tampa. I could choose anywhere from 8-12 restaurants in the area as part of their restaurant hop. This was no easy task. There are so many different amazing restaurants in the Tampa area. I'm not playing favorites but Pane is probably one of my top 3 restaurants in all of Tampa Bay. It's a bakery, it's a deli and they have upscale food. Located inside of a strip mall on MacDill Ave, Pane Rustica has something for everyone. I have taken multiple family members to Pane, all of whom have raved about it and have asked to go back. You can order at the counter and grab a table or sit in the bar area and enjoy table service while consuming amazing craft cocktails. I've never left disappointed, it's kid friendly and trendy at the same time. Just do me a favor and make sure someone in your party orders the burger. I couldn't do a lineup of Tampa's restaurants without including the world famous Berns Steakhouse, named in the 100 Best Wine Restaurants by Wine Enthusiast. Frequented by celebrities, sports stars and politicians, Berns is the place to see and be seen. At least once in your life, you need the full dining experience, starting off with a nice steak, followed by a tour of their kitchen and topping the night off in the Harry Waugh dessert room (get the macadamia nut ice cream). With nearly 1 million bottles of wine in their collection, you can find yourself reading their wine list like a novel. Also, a local tip - if you eat at the bar, you can order a steak sandwich which is not on their menu. It's amazing and only $12. Their house wine is only $5 and is a mix of bottles that are served by the glass. Ask the bartender for a sample and you may find yourself very surprised with what you receive. If you are in the market for authentic Argentinian cuisine, head over to Tampa's historic Ybor City. You will not find a better skirt steak (churrasco) or chimichuri sauce in town. Everything is cooked to order so be prepared for a wait on busy nights (just more the reason to drink a pitcher of their house Sangria). My favorite thing to order on the menu is the El Puerto Salad with Skirt Steak. I always have leftovers too & the steak is perfect for steak and eggs! SideBerns, the "Side Berns" is located right down the street from the famous Berns Steakhouse. The popularity of the Harry Waugh Dessert Room at Bern's Steak House is what opened SideBern's and they initially served only desserts and after dinner drinks. 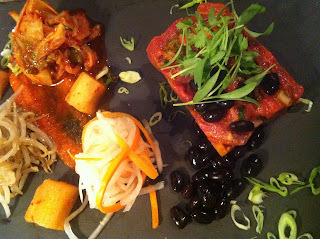 Today, this hip restaurant serves artistically beautiful food and has in my opinion, the best happy hour in town. Edison Food + Drink Lab has been opened in Tampa for a year now. Always reinventing the menu and impressing patrons with their many techniques of cooking, from Classic French cuisine to Molecular Gastronomy. I love any restaurant who serves wine by the flask (as in science lab flask). Come with an open mind and you will not leave displeased. Before I was a Tampa based blogger, the Refinery was the first restaurant we dined at where I ventured out of my comfort zone. Back then, I had reservations (say what?). The talented James Beard nominated Chef Greg Baker changes the menu every week. The Refinery tries to When I think of restaurants like the Refinery and many others mentioned above, I wonder why Tampa isn't seen as a top culinary location in the US. Since the menu is ever changing, the one menu item which I've seen frequently and is always great is the Hangar Steak. And now I am turning it over to hotel restaurants, say what?! Before I get into the next section, I have to bring three hotel restaurants into light that belong on this list. Pelagia Trattoria is located inside of the Marriott Renaissance Tampa International Plaza Hotel. All of their pasta is made by hand and every meal is beyond exceptional. Pelagia is one of my favorite restaurants in Tampa and if I have a friend looking for a nice Italian dinner, I shove them in this direction. I am a southern girl - my Mom's family was 100% South Carolina born and raised. I had an amazing dinner at the Shor clearwater where my fiance and I both shook our heads over and over again how this was one of the best meals we have ever consumed. 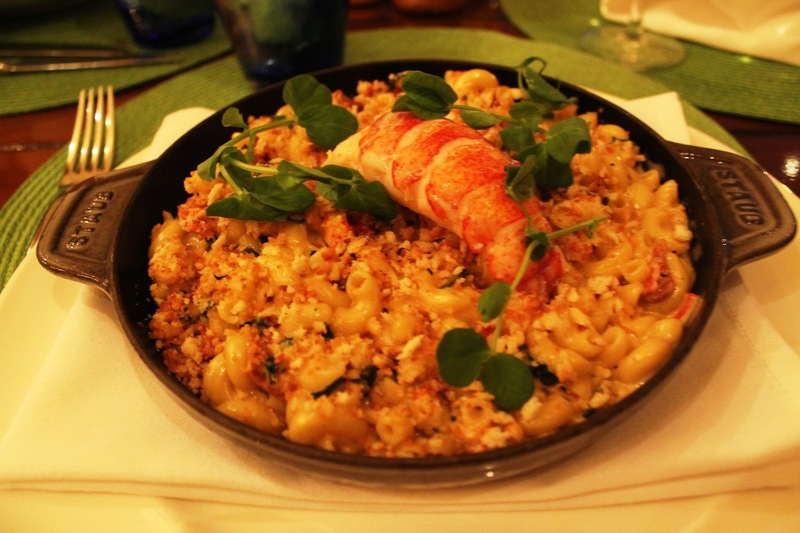 I would never order lobster macaroni and cheese but was encouraged with the words "a full Maine lobster tail on top". This was one of the best meals I have ever had in my life and dear god - order the lobster mac and cheese! Did I mention, they have one of the best views of the sunset across the state of Florida?! Oystercatchers, located in Grand Hyatt Tampa has one of the nicest brunches in town. For under $50 a person, you get access to their brunch buffet including unlimited champagne, bloody mary's and caviar!! The pasta station has a variety of house-made pastas to choose from with every topping imaginable. Their brunch options changes weekly and it will not disappoint. Anywhere you can choose quail eggs for your omelet is worth a visit. This is an excellent location for a celebration brunch! I have never visited Tampa, but the food looks so great I should definitely consider making the trip! I'm also participating in the blog tour! Mmmmm, I'm hungry now! Berns looks good to me!